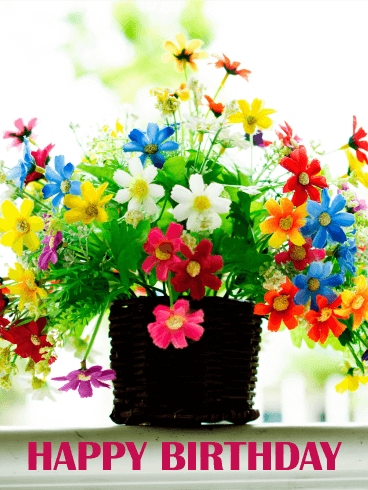 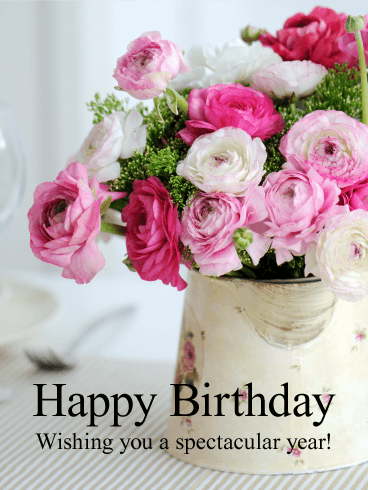 Sending flowers to a friend on their birthday is a very thoughtful idea, especially when the flowers are as pretty as these! 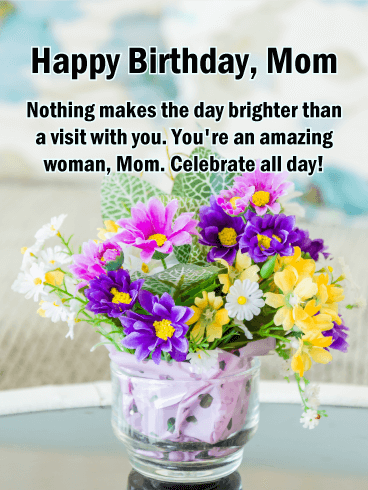 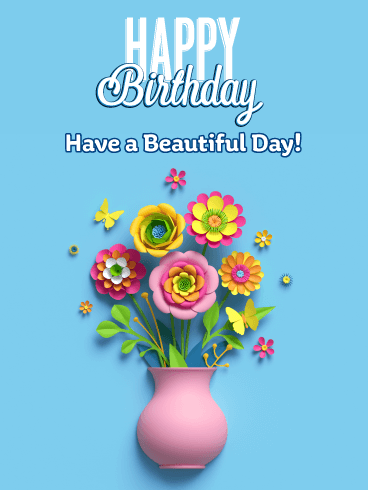 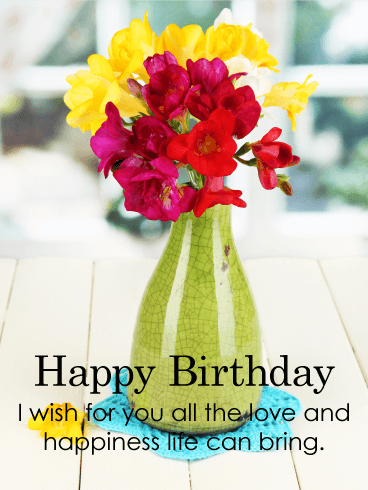 This Happy Birthday card features pastel colored flowers in a beautiful glass vase that will surely add happiness to your friend's birthday. 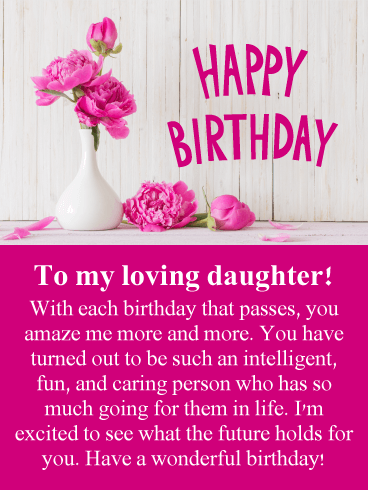 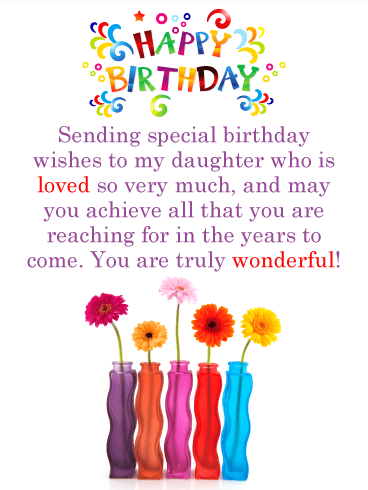 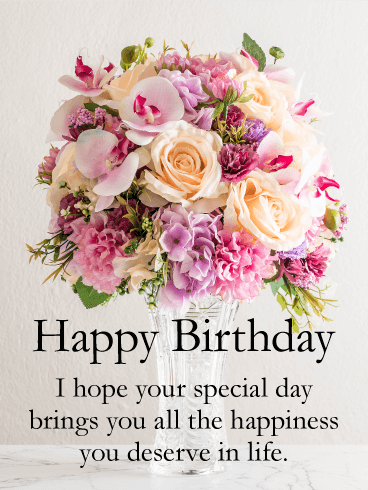 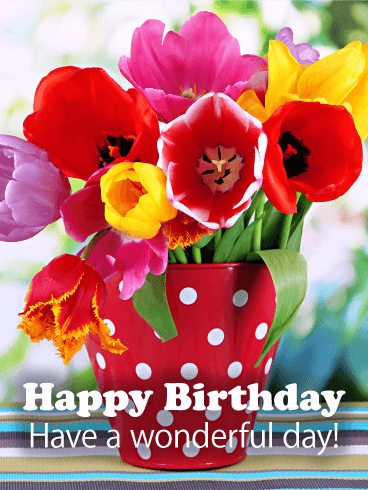 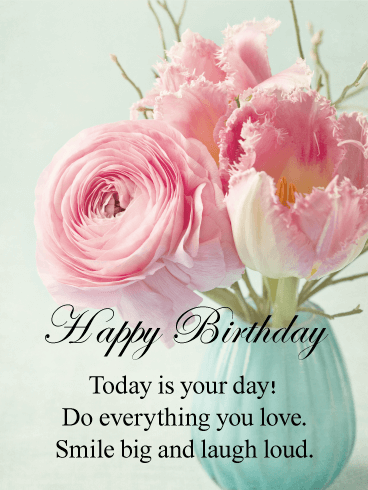 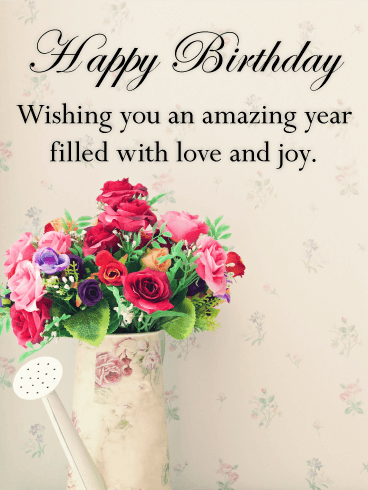 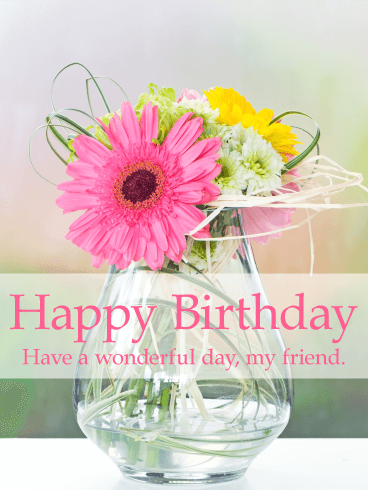 Let your friend know you picked a card especially for them on their birthday by sending this beautiful birthday card out to him or her today. 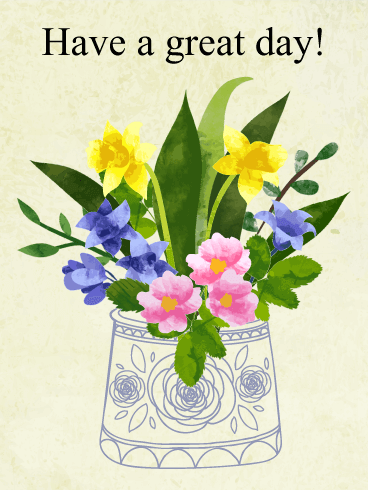 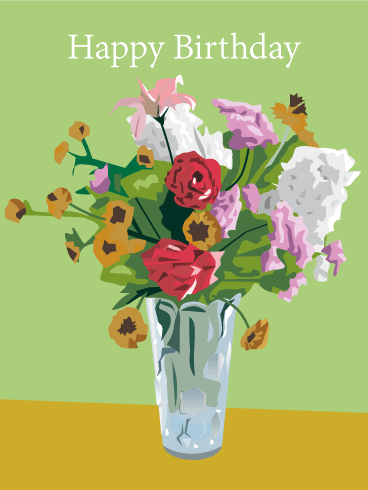 A bright and cheerful bouquet of flowers graces the front of this birthday card for a special sister-in-law. 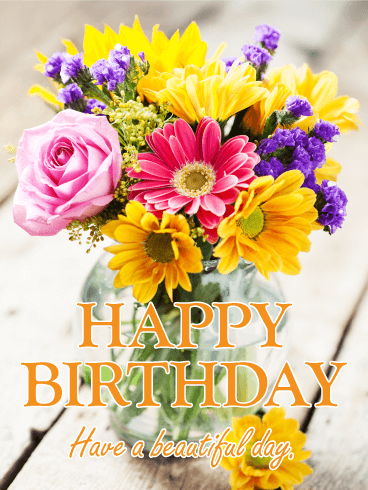 Red lettering and red tones among the flowers in the bouquet contrast beautifully with the manila background of this birthday card. 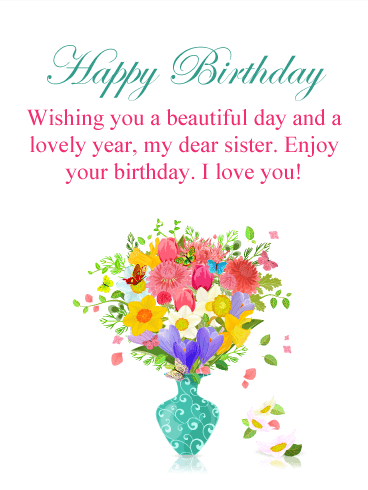 Any sister-in-law will be so pleased to receive this cheery and joyful birthday card on her birthday. 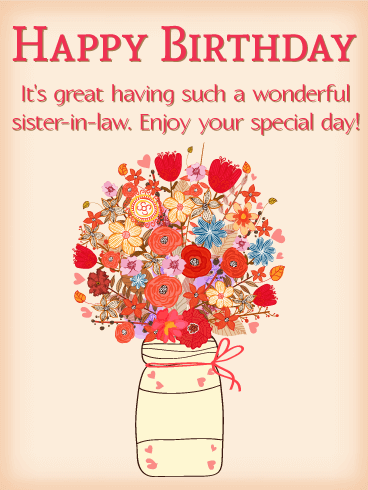 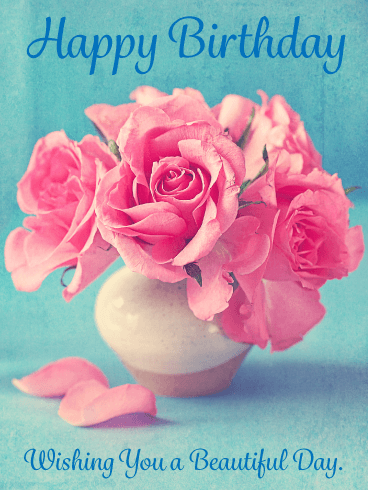 You can't go wrong with this jaunty happy birthday card for your sister-in-law!